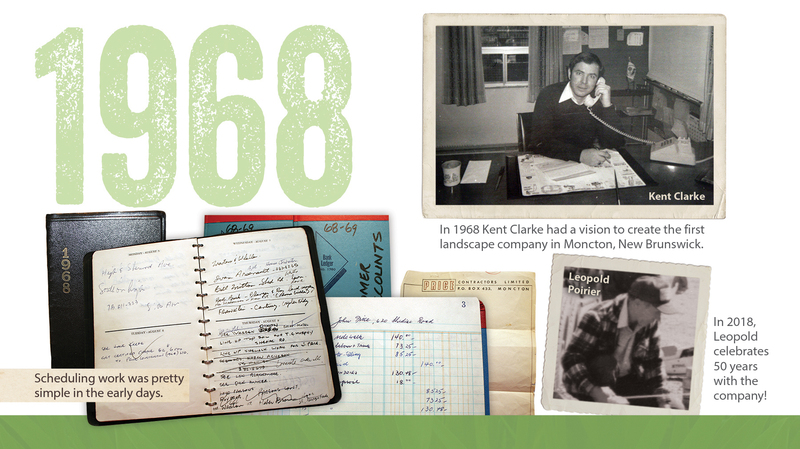 In 1968 Kent Clarke had a vision to create the first landscape company in Moncton, New Brunswick. 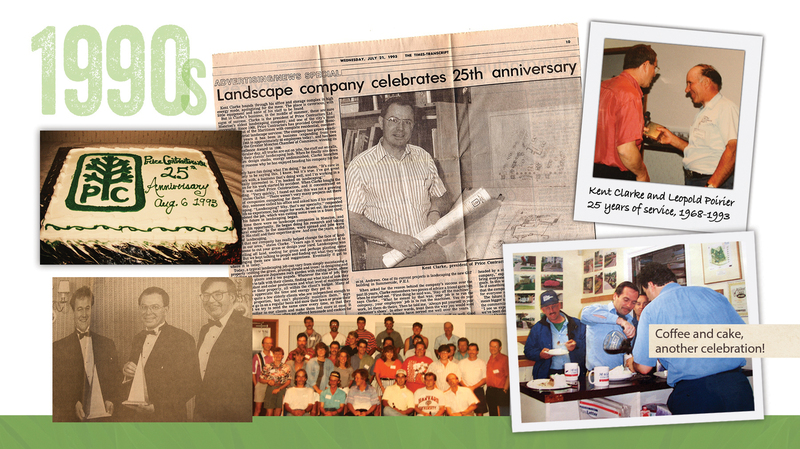 Kent’s dedication and professionalism led the way & set the standard of excellence for all our employees that has continued for 50 years. In 2018, Leopold Poirier celebrates 50 years with the company! 1970s Did you know? Our blue and white trucks have been around since the early days! 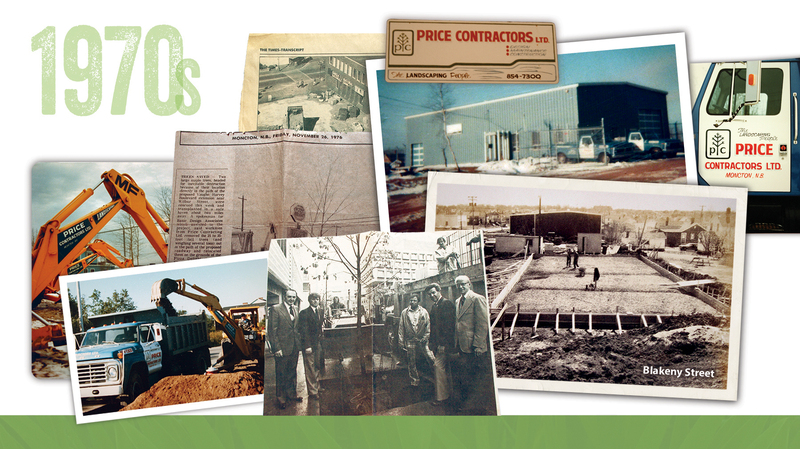 1980s Our staff and expertise grew! 1990s Current owner Kevin Nauss joined us in 1990. Longtime employee Paul Tomlinson started in the 90’s. 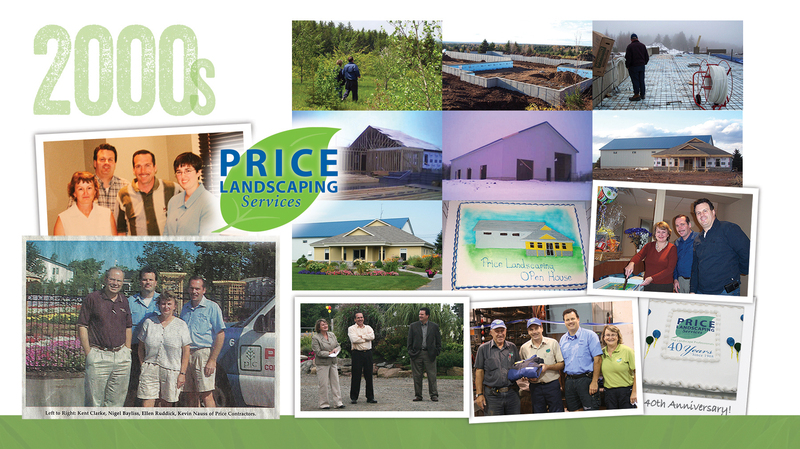 2000s This decade saw us win numerous Awards of Landscape Excellence. Check out our Portfolio of Award Winning Designs! 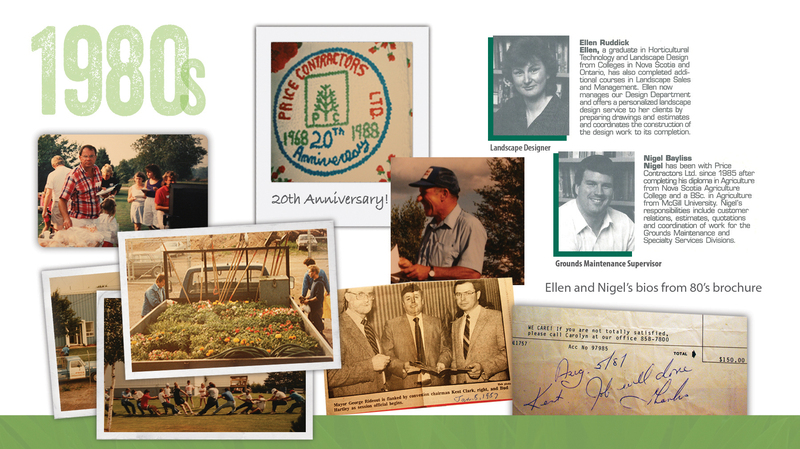 2001 Employees Nigel Bayliss, Ellen Ruddick & Kevin Nauss acquire ownership! 2017 Price Landscaping Services earns the Landscape Industry Accredited Company Seal of Approval. 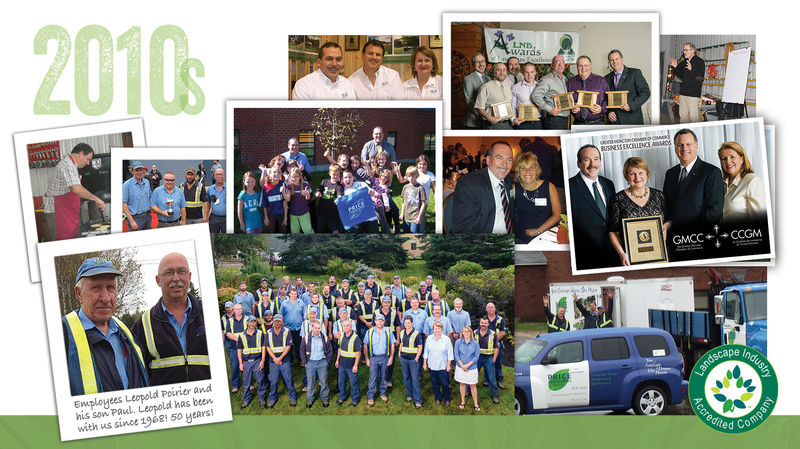 We are proud to be the first landscape company in Atlantic Canada to earn this designation and only the fourth in all of Canada!